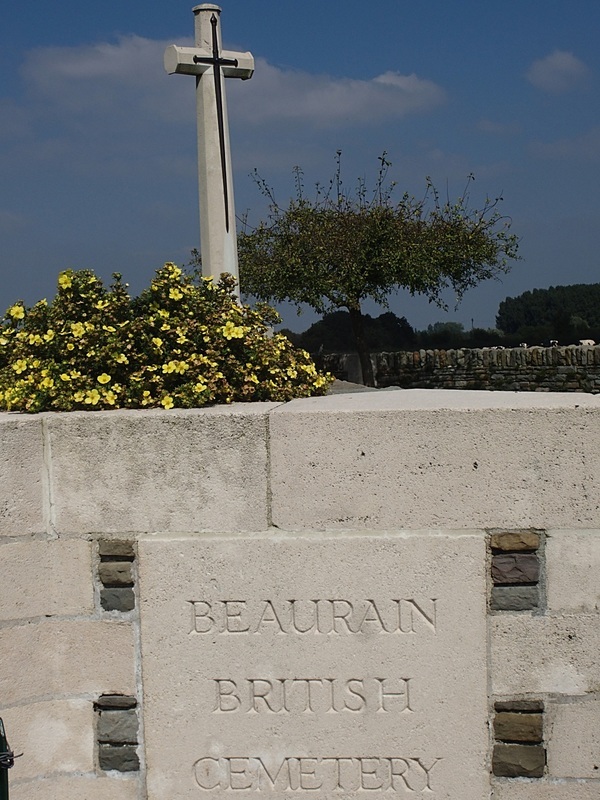 Beaurain (not to be confused with Beaurains near Arras) is a village in the Department of the Nord 19 kilometres south of Valenciennes and 4 kilometres from Solesmes railway station. 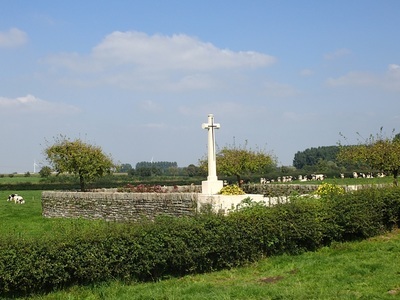 The British Cemetery is at the end of a path, among meadows and orchards, a hundred yards north of the church. 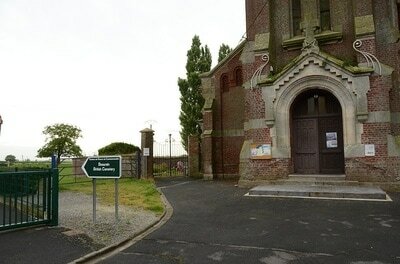 From Solesmes follow the D43 to the junction with the D43A, where one can see a direction sign for Beaurain. 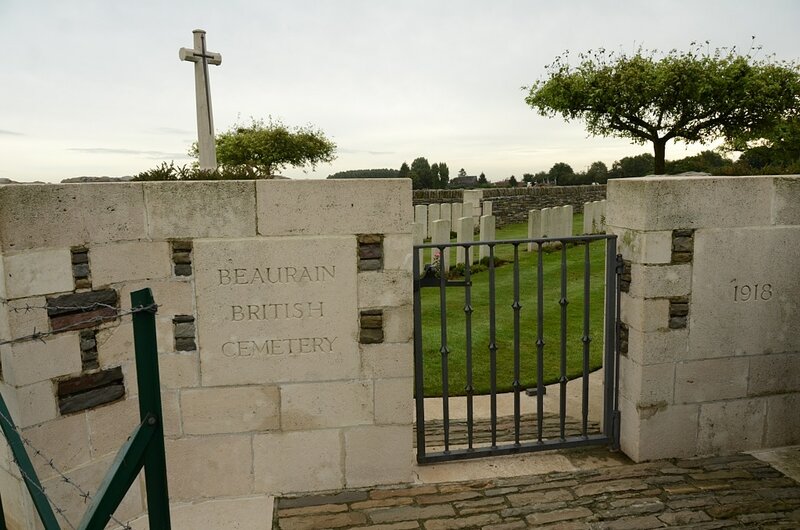 Follow this winding but continuous road to Beaurain, approximately 2 kilometres, to the CWGC sign beside the church. Beaurain was captured by the 5th Division on the 23rd October, 1918. The British Cemetery was made in the fortnight after the capture of the village. 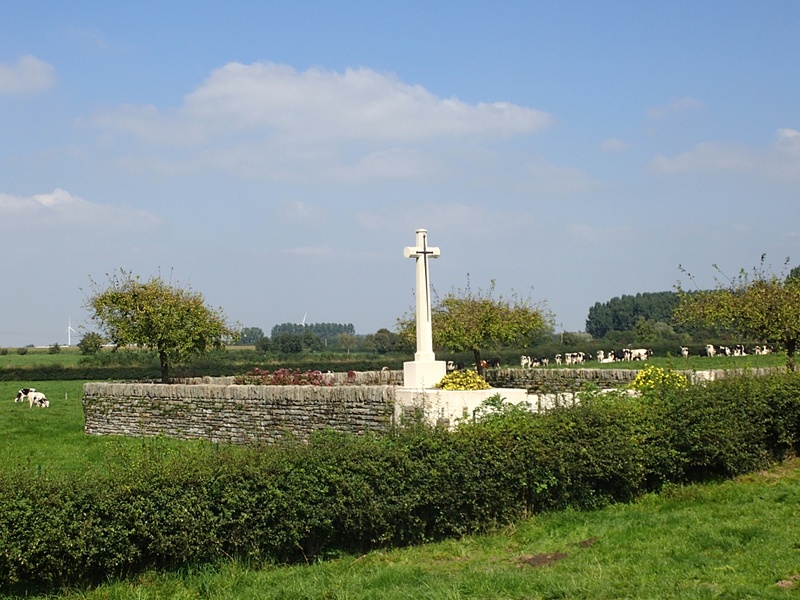 There are now over 50, 1914-18 war casualties commemorated in this site. Of these, a small number are unidentified. 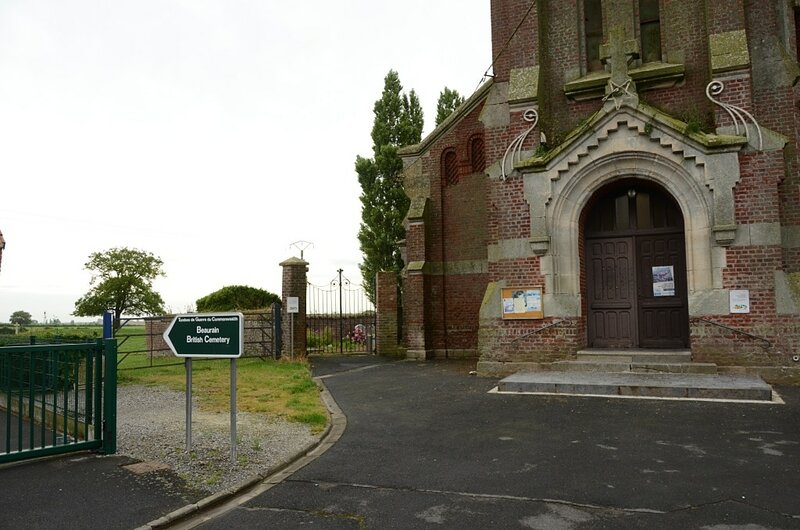 The cemetery covers an area of 465 square metres and is enclosed by a low stone rubble wall. 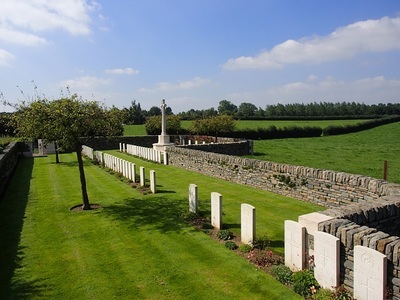 Casualty Details: UK 57, Total Burials: 57.